Description Photo in the History of the Methodist Church scrapbook loaned by Helen Grigg. 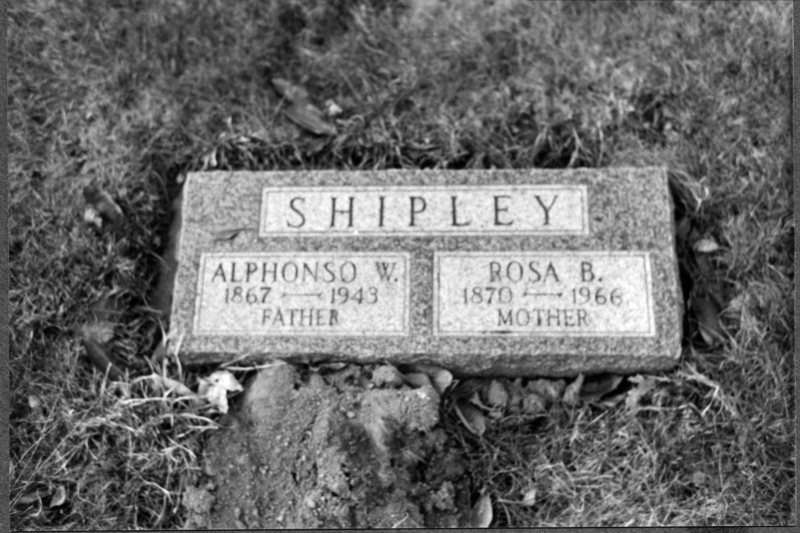 [Gravestone]: Shipley: Alphonso W. 1867-1943, father; Rosa B. 1870-1966, mother.